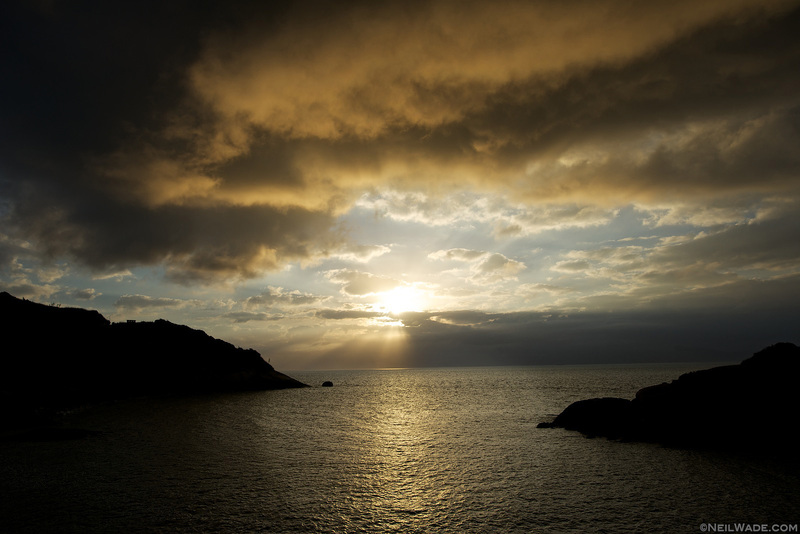 Nangan island is the biggest, busiest, and most visited of all the islands. 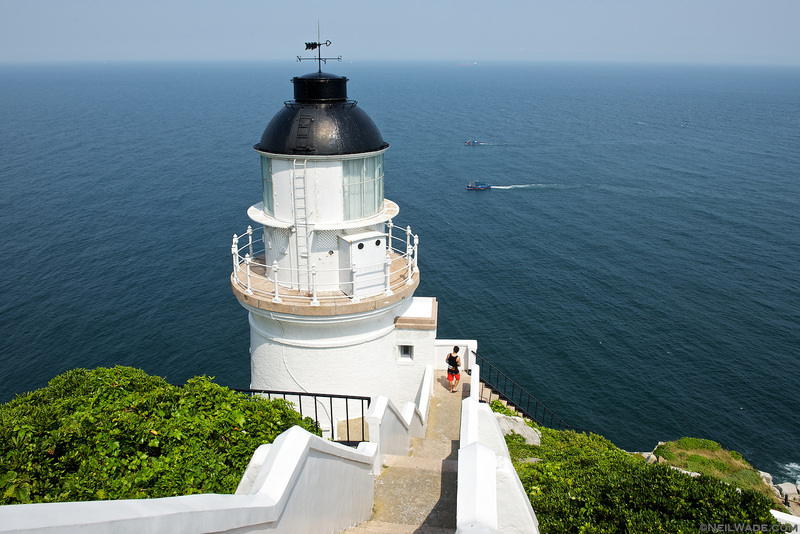 It also has the most attractions, accommodations, and easy transportation links to Taiwan and all the other Matsu islands. 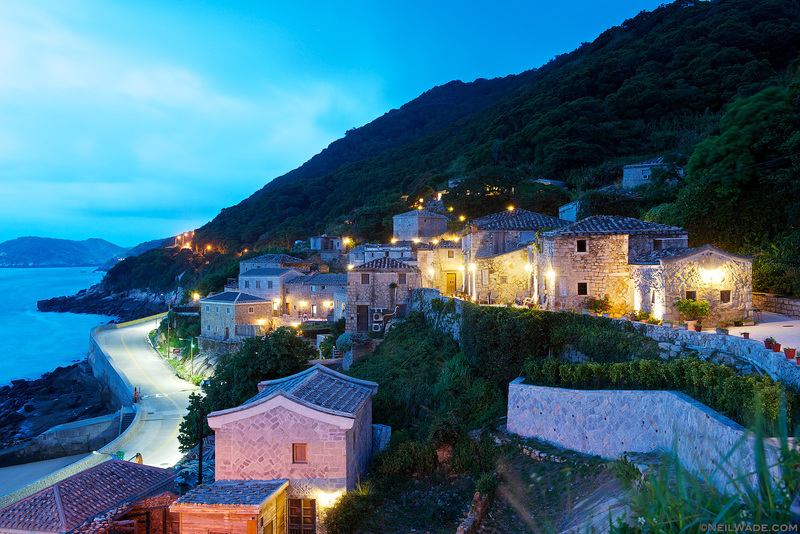 If you’re only spending a day or two in Matsu, this is where you want to go. 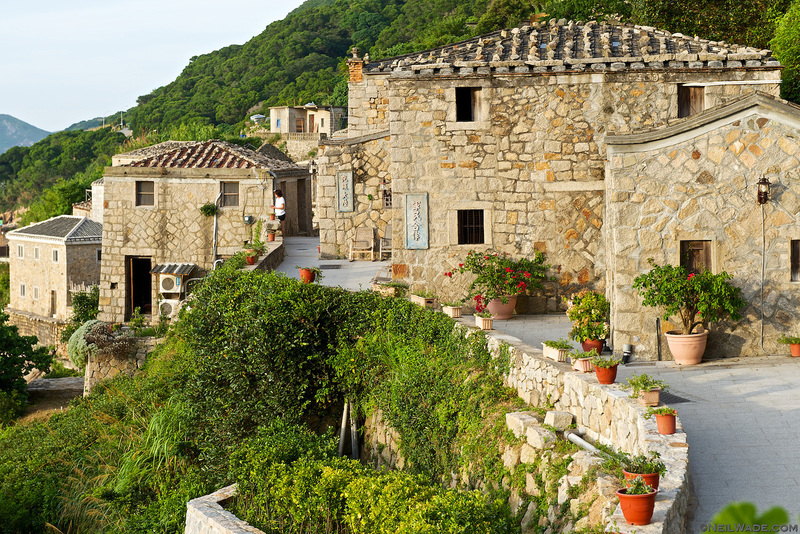 It’s got several villages scattered around the island, some busier, some more traditional, so you can find anything you might need. But be warned, I stayed in the traditional village of Jinsha, and there were no restaurants, and the closest thing to a mini mart was someone’s living room! You can visit all the sights in Nangan (and on all the other islands) in a busy, long afternoon, but I would definitely recommend staying for two days to get into the relaxed island mode. 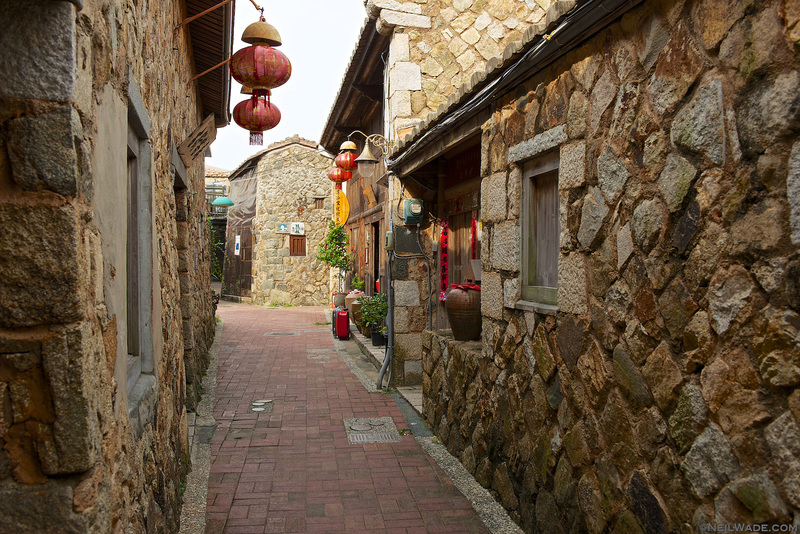 The quiet, old fishing village of Jinsha is probably the most authentically traditional of all the villages I visited. There are several hostel/homestays there. 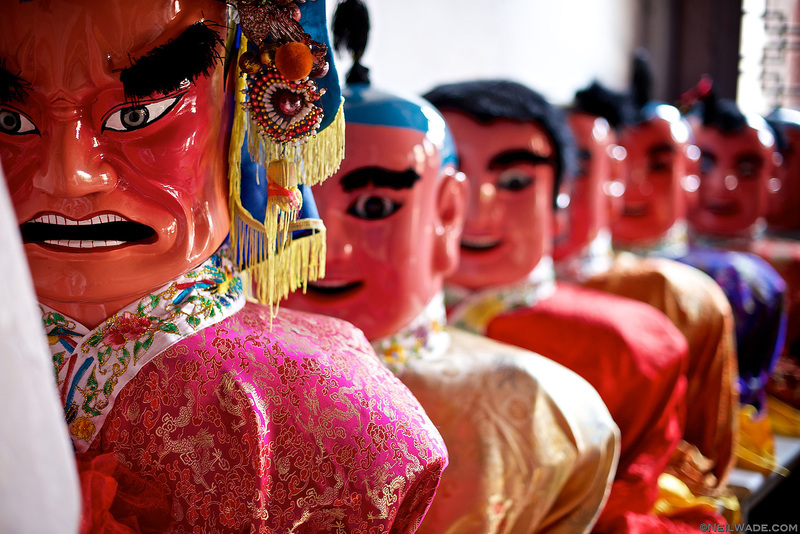 Costumes of some of Taiwan’s Taoist Gods ready to be paraded in Nioujiao Village’s Wulinggong Temple. 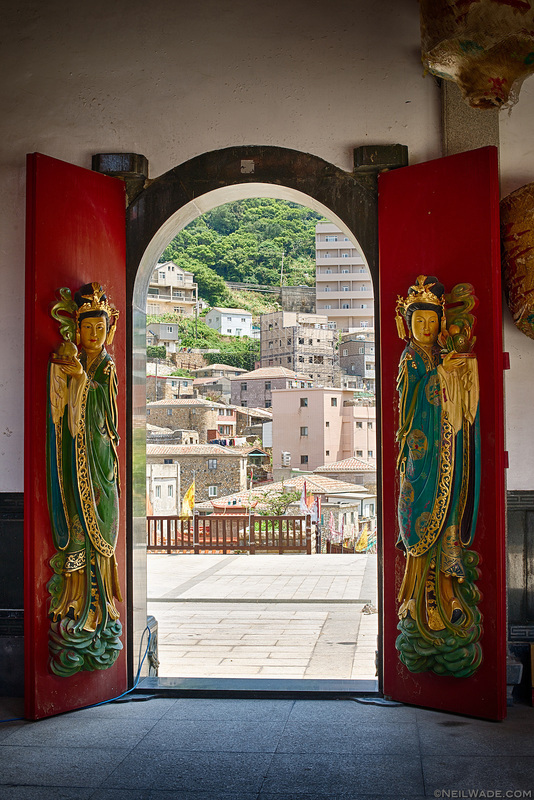 Matsu Islands are named so because they’re the legendary home and burial place of Mazu, a historical figure now turned Goddess and worshiped by fishermen throughout Asia. 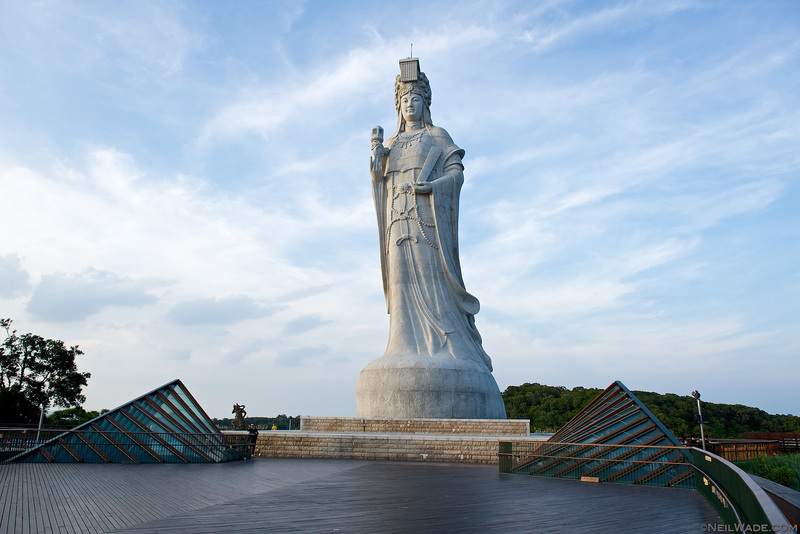 This is the largest statue of her in the world. 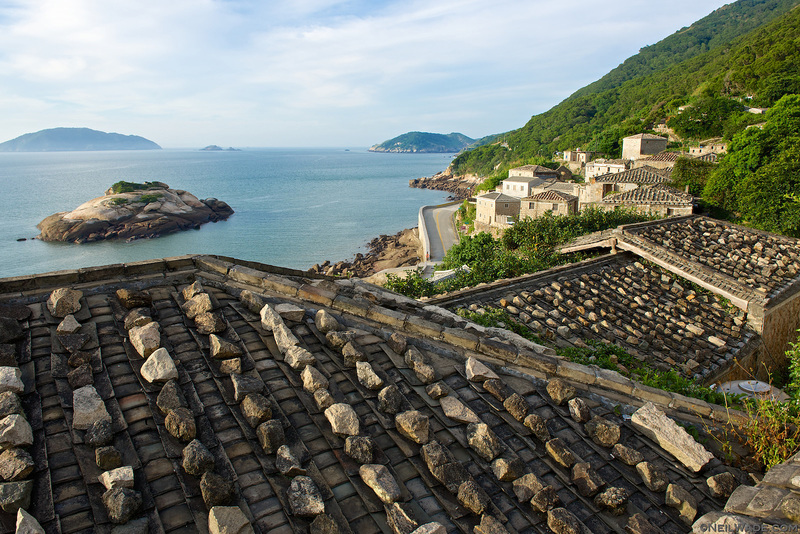 Matsu Islands are named so because they’re the legendary home and burial place of Mazu, a historical figure now turned Goddess and worshiped by fishermen throughout Asia. 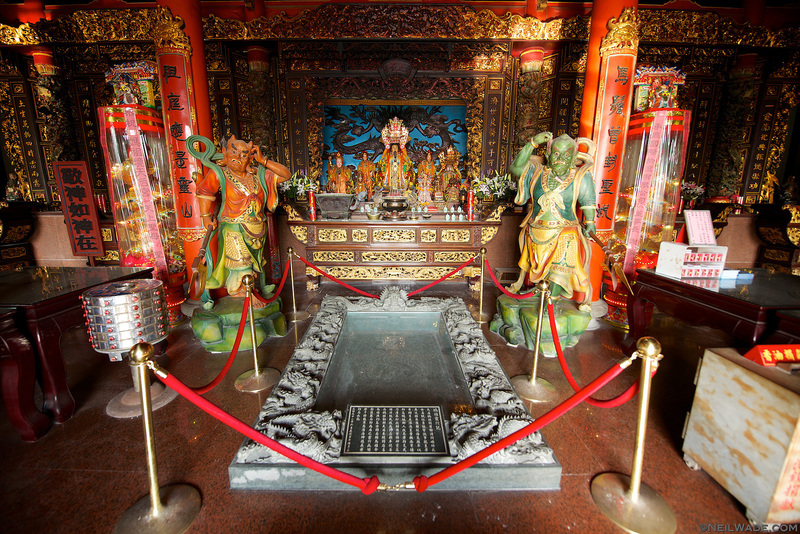 This is her tomb on Nangan Island. Access tunnels to Beihai Tunnel on Nangan Island. 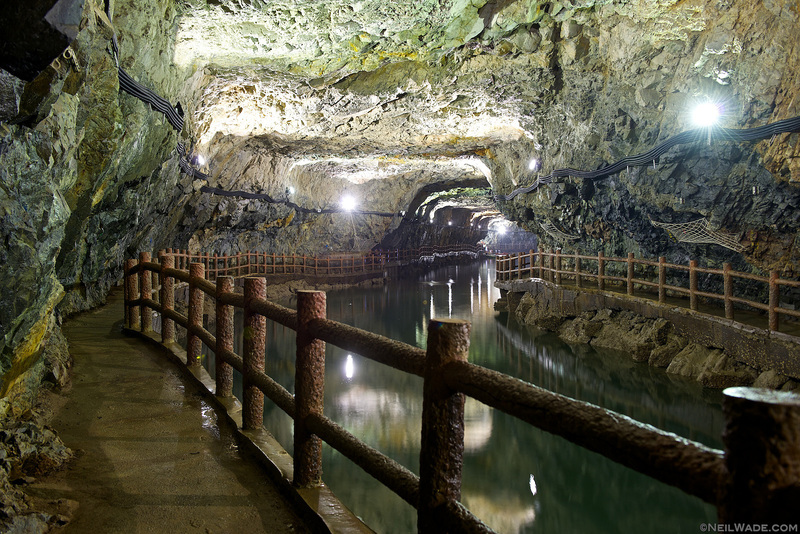 The Beihai Tunnel on Nangan is the largest of several underground harbors in the Matsu Islands. 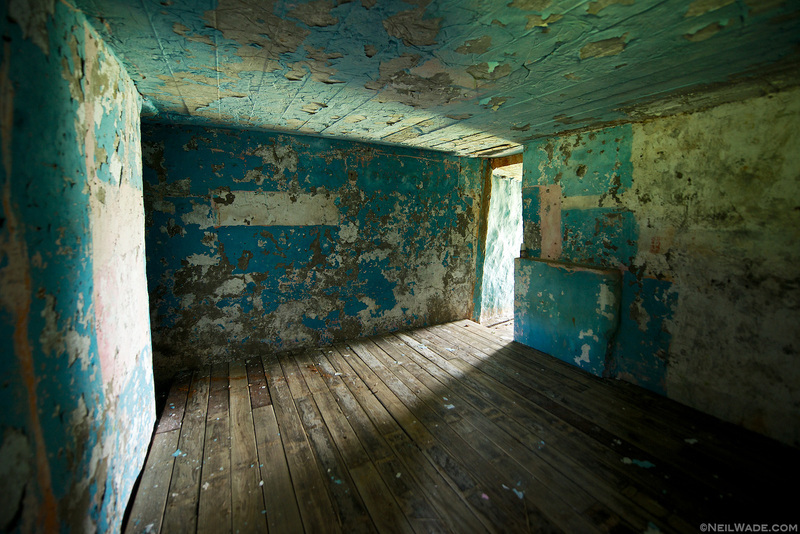 Although I didn’t photograph many of the military sights for obvious reasons, exploring some of the abandoned ones makes you wonder what life was like living in them 30 years ago. From Nangan, I took the morning boat to Dongyin to explore for the afternoon. 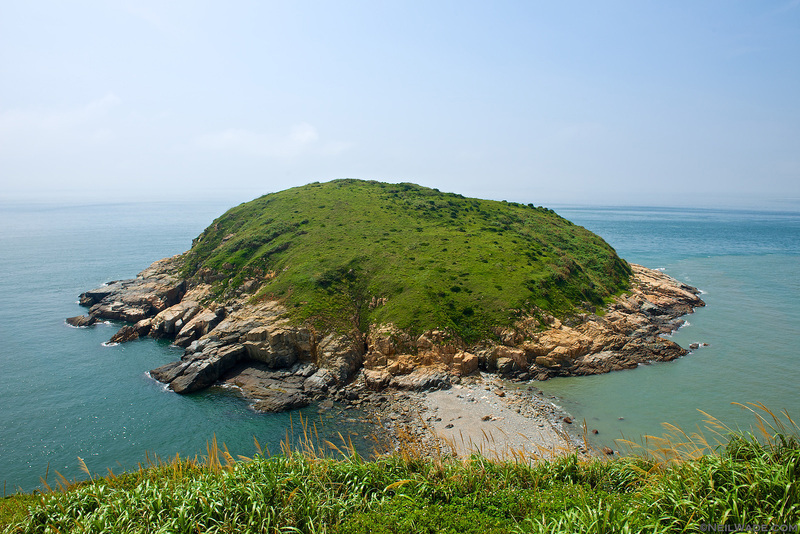 (Xiyin is a smaller island connected to Dongyin by a causeway, so it really doesn’t feel like a separate island) Dongyin is the most remote of all the Matsu Islands and the most heavily militarized. 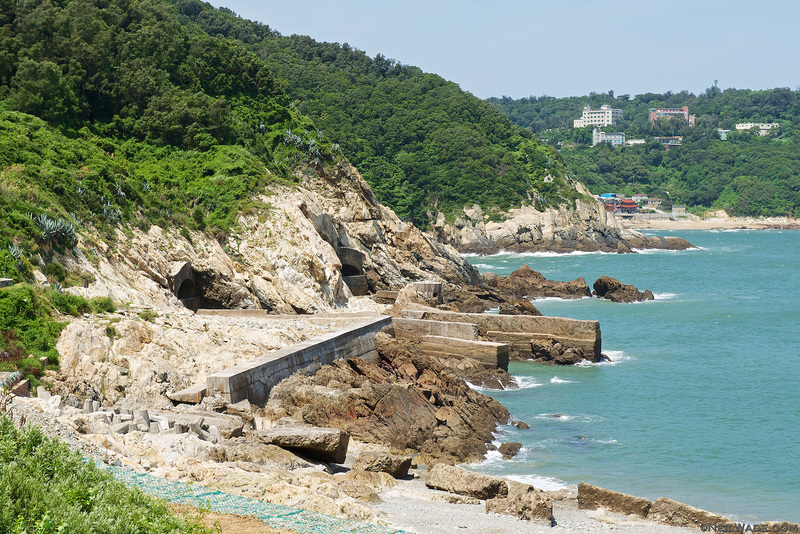 It has the northernmost point of all of Taiwan, and some stunning coastlines and natural attractions. You can easily see everything it has to offer in the afternoon you’ll have after the boat ride from Nangan. Or if you take the overnight boat from Keelung to Matsu, you can get off here the first morning, the continue on to Nangan the next. 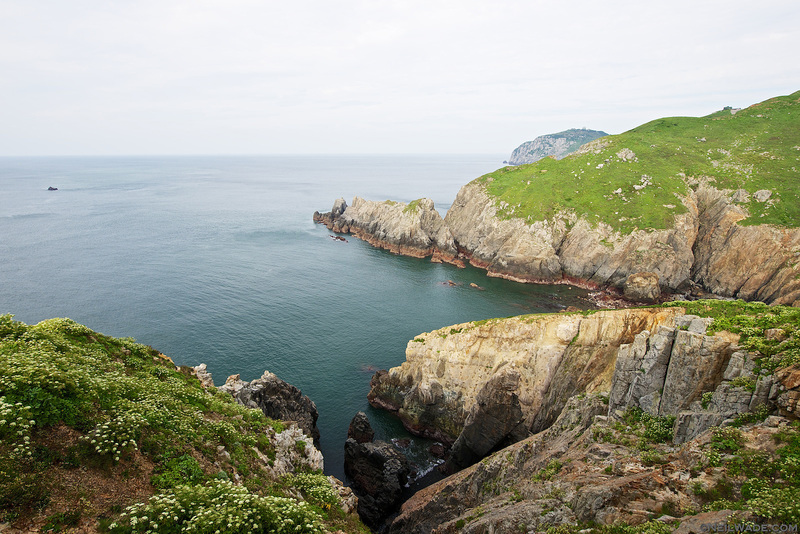 Suicide Cliff on Dongyin Island has a tragic name for such a beautiful place. Thread of Sky is an aptly named sight. 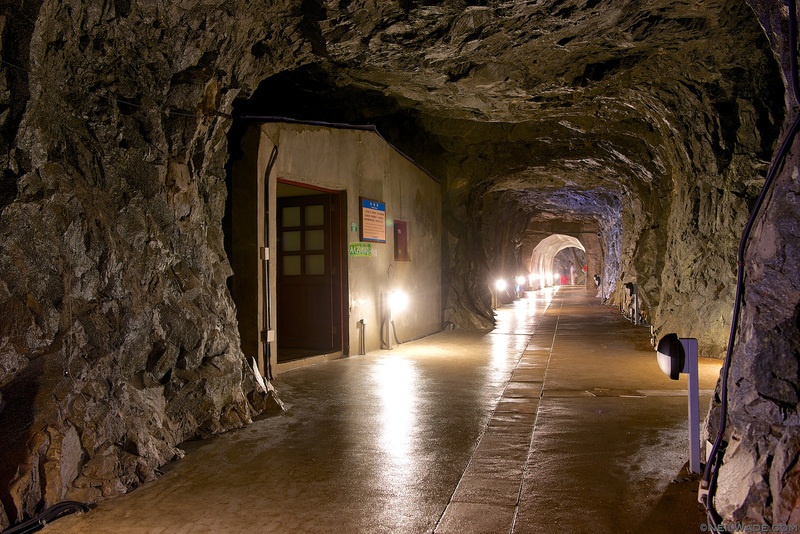 The Andong Tunnel on Dongyin starts with a few hundred meter descent to the old living quarters of an Army unit. 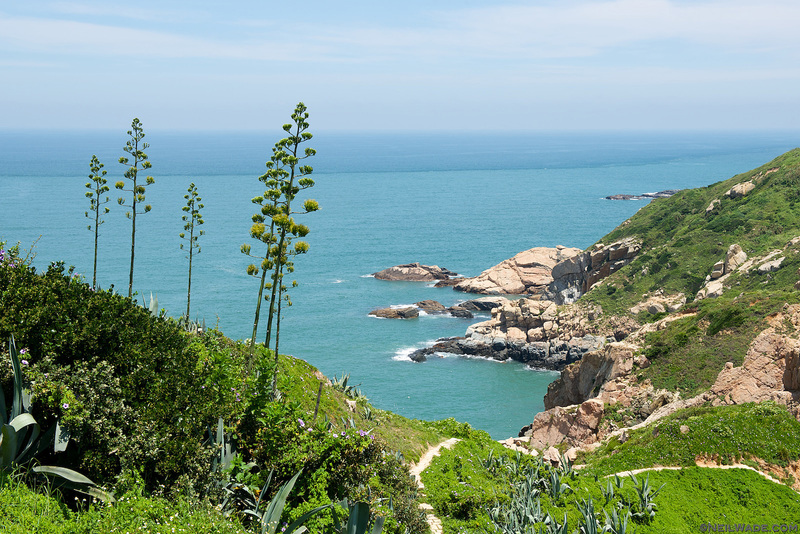 The coast of Xiyin and Dongyin are just stunning. After returning to Nangan for and afternoon, I took the 15 minute boat to Beigan and spent 2 days. Beigan is definitely the most laid back and friendly of the islands that I visited. 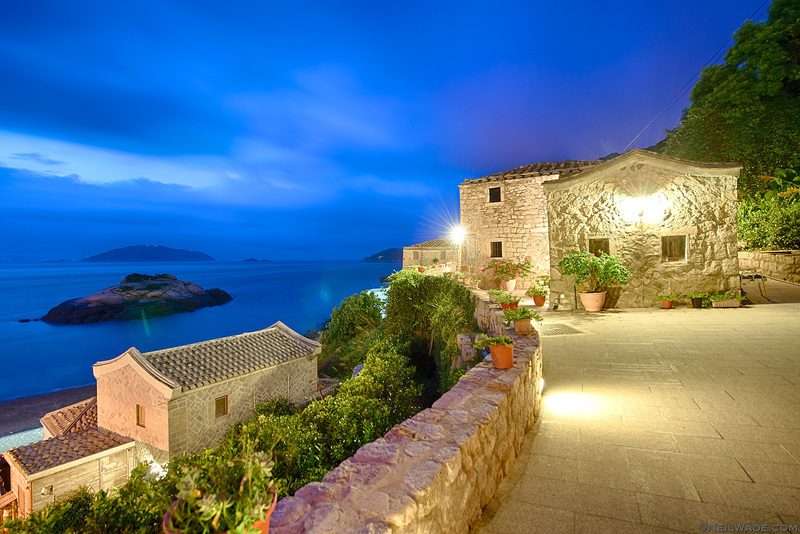 If you’re really just looking for a quiet island/beach vacation, this is the place. 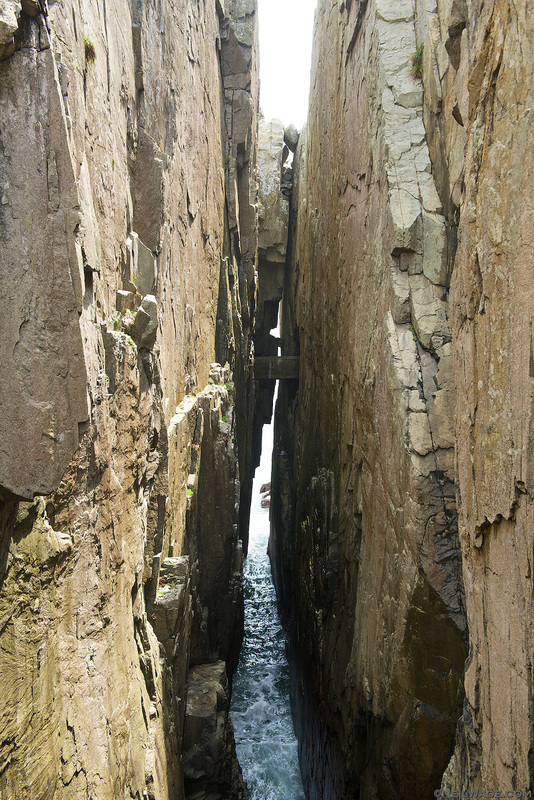 However, it does have one of the best short hikes hike I’ve ever been on. The Luoshan trail on the far side of the airport is really only an hour or so return, but I’d recommend staying out there a while longer and really soaking up the beauty. 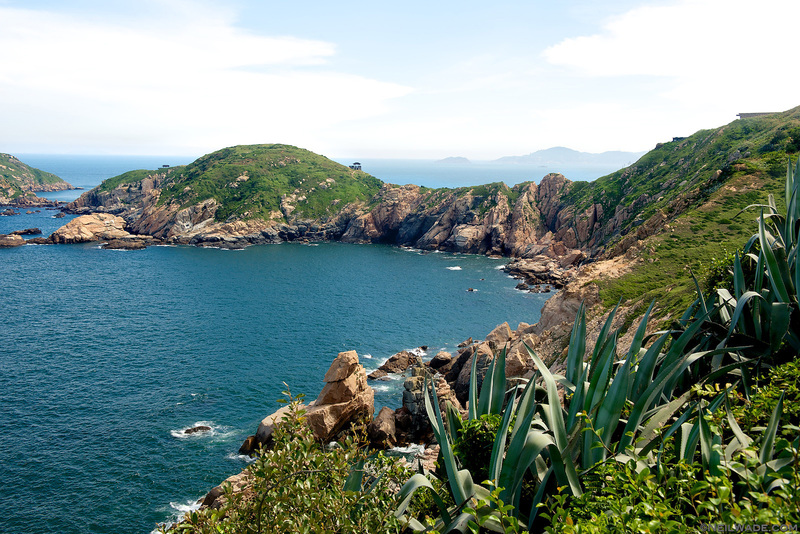 Just off the coast of Beigan is the very small, uninhabited island of Daqiu. 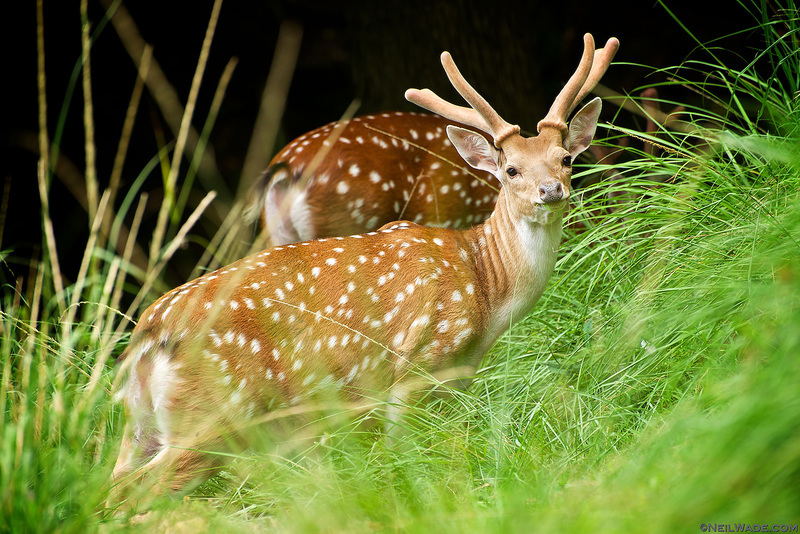 This island is mostly known for it’s population of sika deer. They are relatively unafraid of humans so you can get quite close without frightening them away. Even if animals aren’t your thing, I would highly recommend heading out here for the morning to have a look. 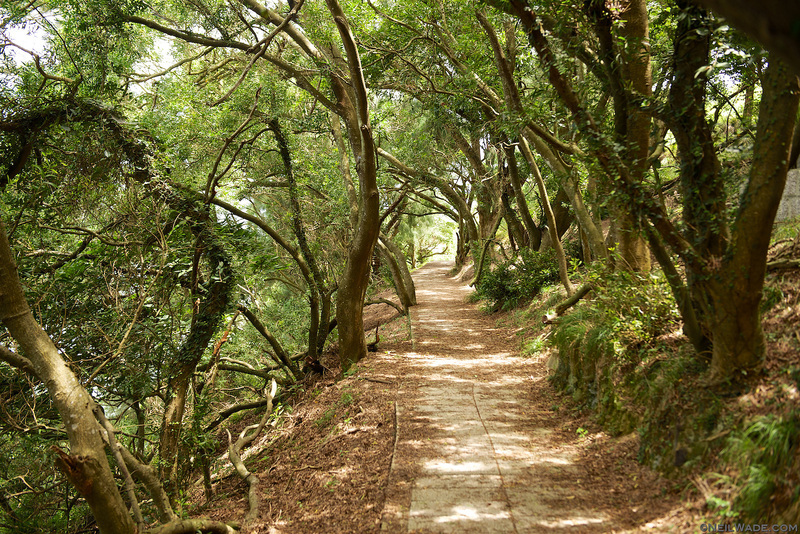 One of the greatest short hikes in Taiwan. 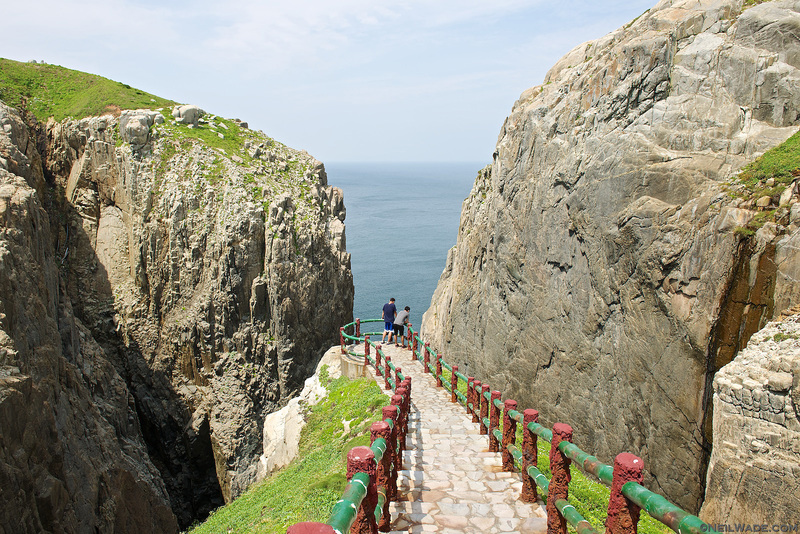 The Luoshan Trail in Beigan Island is short, but has stunning natural scenery. 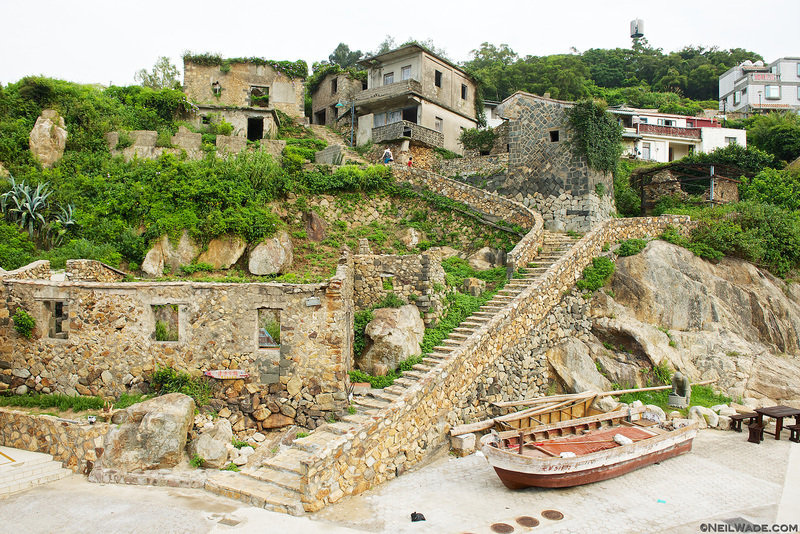 Qinbi Village on Beigan is the must see sight on all the Matsu Islands. It’s quite small, and certainly not perfect, but quite a charming place to stay or have coffee. Geli Island to the extreme south of Beigan reminds me of a big, green pimple. 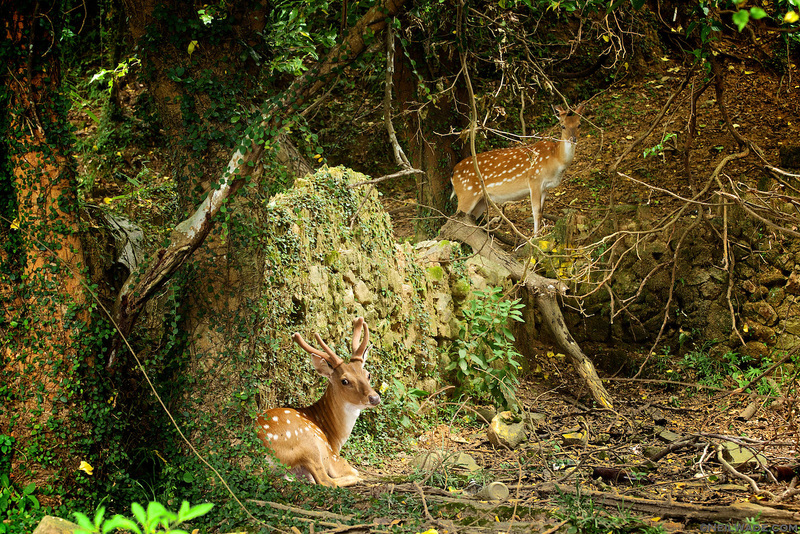 Formosan Sika Deer (台灣梅花鹿) populate the island of Daqiu, just off the coast of Beigan Island, Taiwan. They can sometimes be found just behind the coffee shop above the harbor, resting in the remains of the old village. 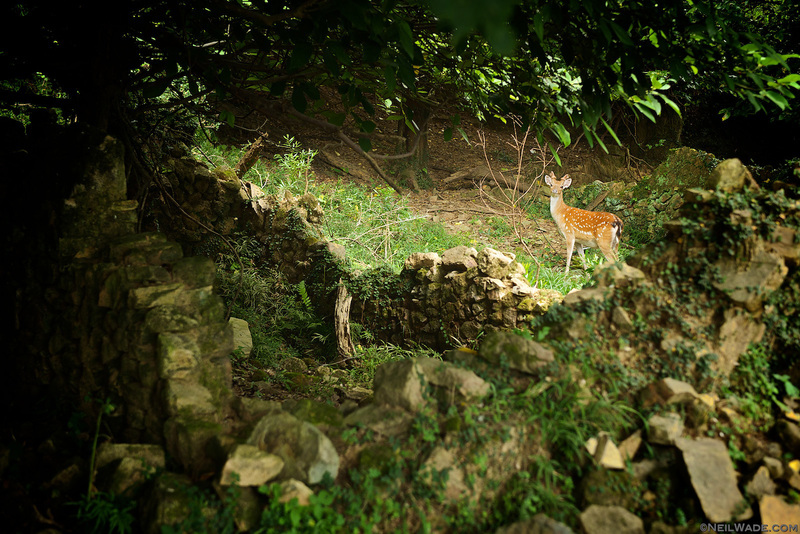 Formosan Sika Deer (台灣梅花鹿) populate the island of Daqiu, just off the coast of Beigan Island, Taiwan. If you want more information on the Matsu Islands, once again, I can’t recommend highly enough Richard Saunder’s “The Islands of Taiwan”. 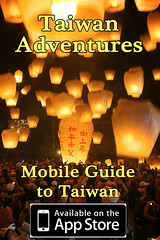 You can buy it in bookstores around Taipei, or have a look at the website here. Great series Neil! I visited Beigang and Nangang years ago. 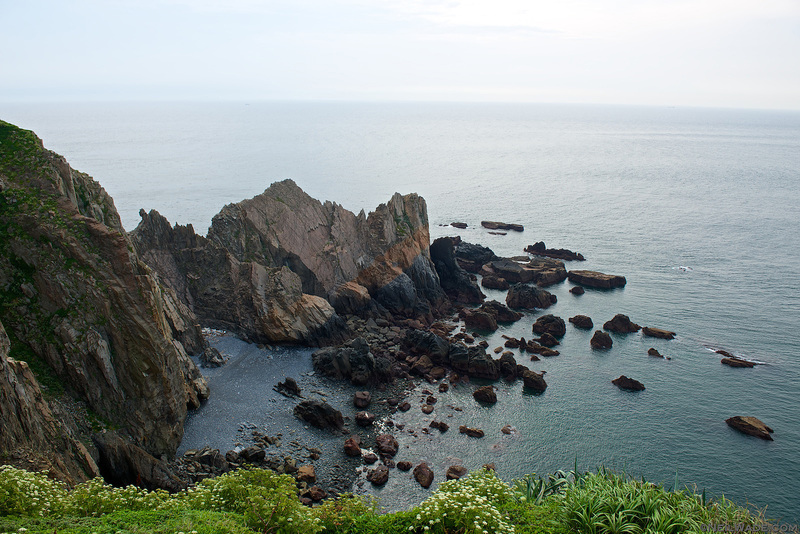 We were going to take a boat to Dongyin to see the lighthouse but couldn’t due to rough seas. I would love to visit again someday. Exquisite hope the government doesn’t turn it into a shopping center for Mainlanders. Beautiful pictures! 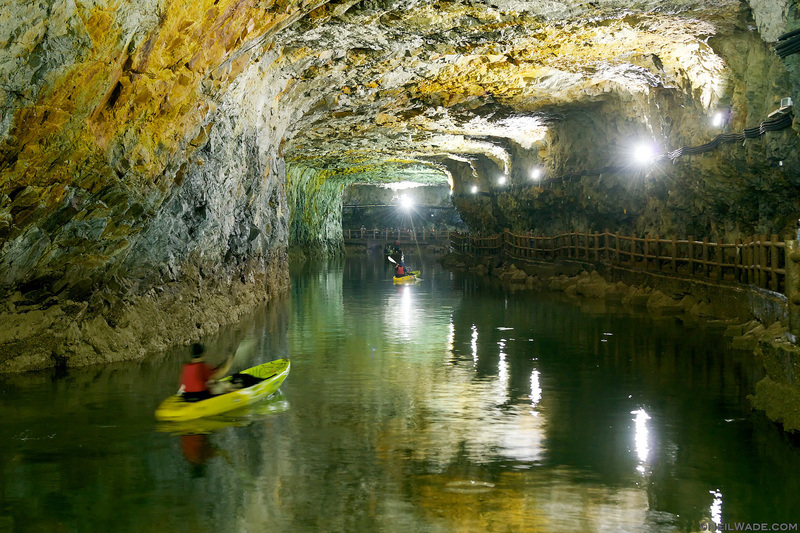 I’m putting Matsu on my list of things to do while I’m in Taiwan. Beautiful photographs, you really capture the beauty of the country! I used to live on Beigan Island (2010-2011). You have nice photos and memories. 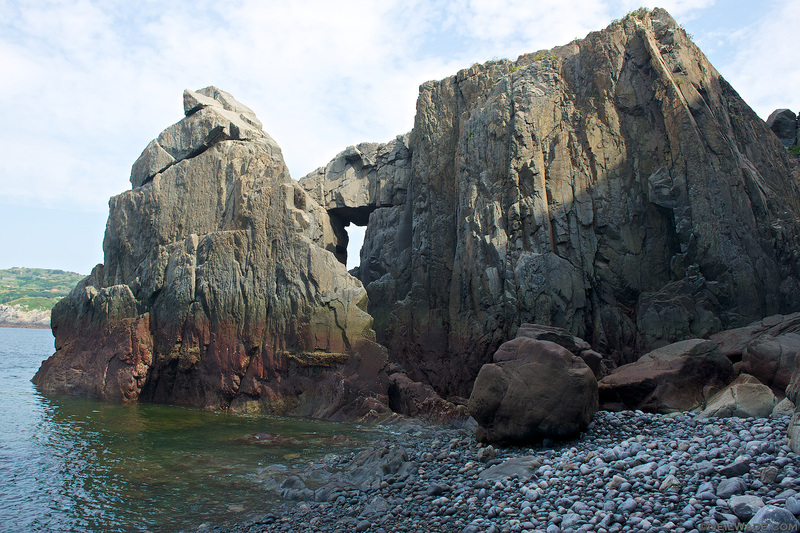 I recall seeing the deer on Beigan and swam at Qinbi to turtle island and back. 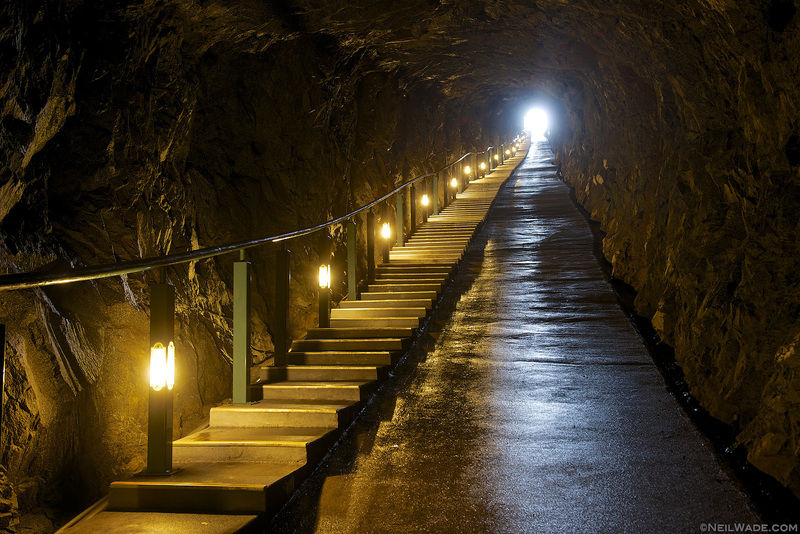 (The tunnels on the island are a fun walk, too.) I taught in the public schools there. Thanks for putting these up. Thank, Kevin. I’m sure living out there was quite an experience!